Elemental Technologies, the leader in software-defined video solutions, todayannounced that BT is standardizing on Elemental software to unify its traditional and multiscreen headend serving BT TV Everywhere, BT Sport App, and BT Ultra HD services. BT is one of the world’s leading communications services companies, serving customers in the UK and more than 170 countries. Together with Elemental, the telco leader held a special event this evening in London featuring live Union of European Football Associations (UEFA) semifinal coverage in 4K between Manchester City and Real Madrid. BT TV is a leader in offering consumers expanded and enhanced viewing experiences through the power of broadband and innovative services, such as primary screen UHD content. In July 2015, BT TV launched BT Sport Ultra HD, the first live sports 4K UHD channel in the UK and Europe. In December, 2015, BT TV became the first TV service in the UK to offer Netflix in UHD. 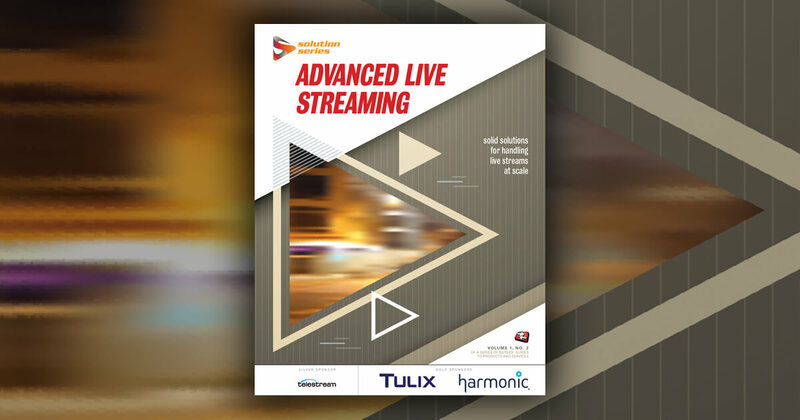 This infrastructure leverages Elemental for high-efficiency video coding (HEVC/H.265) and 4K content processing and delivery. As BT has expanded its services, it has expanded its use of Elemental. In 2015, BT revamped its popular TV Everywhere offering with the addition of five new channels and a rich new “Entertainment Max” package for existing customers. End-to-end software defined video (SDV) solutions from Elemental support the BT TV Everywhere offer, which enables BT customers to watch TV channels on multiple devices once they authenticate as subscribers. Since the BT Sport channel launched in August 2013, millions of customers have downloaded the BT Sport App to access premium live streaming sports. To enable continued expansion of the app, BT employs Elemental to deliver premium live streaming sports content to customers via multiscreen devices. In the BT TV Everywhere video infrastructure, Elemental powers a unified headend for subscription linear channels delivered to IPTV set-top boxes as well as multiscreen devices. Elemental Conductor software manages resilient Elemental Live encoder clusters, each processing multiple channels of standard and high-definition content for delivery to viewers at an appropriate bitrate. The encoded streams pass to Elemental Delta for just-in-time (JIT) packaging to enable live-to-VOD delivery to connected devices. This infrastructure enables BT to scale from 90 to 250 channels and to provide subscribers live, on-demand, and time-shift services, such as catch-up TV, restart TV, and network PVR. For the BT Sport App, Elemental Delta enables start-over viewing for UEFA Champions League games through its live-to-VOD output filter, allowing viewers to return to match high points, such as goals, penalties, and other notable plays on the pitch. The BT Sport content portfolio includes exclusive rights to the Champions League, Europa League and Premiership Rugby. Viewers, who have increased 15 percent year over year since the service launched in 2013, can also access BT Sport content via BT TV, btsport.com, and other platforms. To learn more about the wide range of BT services and apps, please visit http://home.bt.com/. More information about how Elemental is supporting BT is available on the Elemental blog.